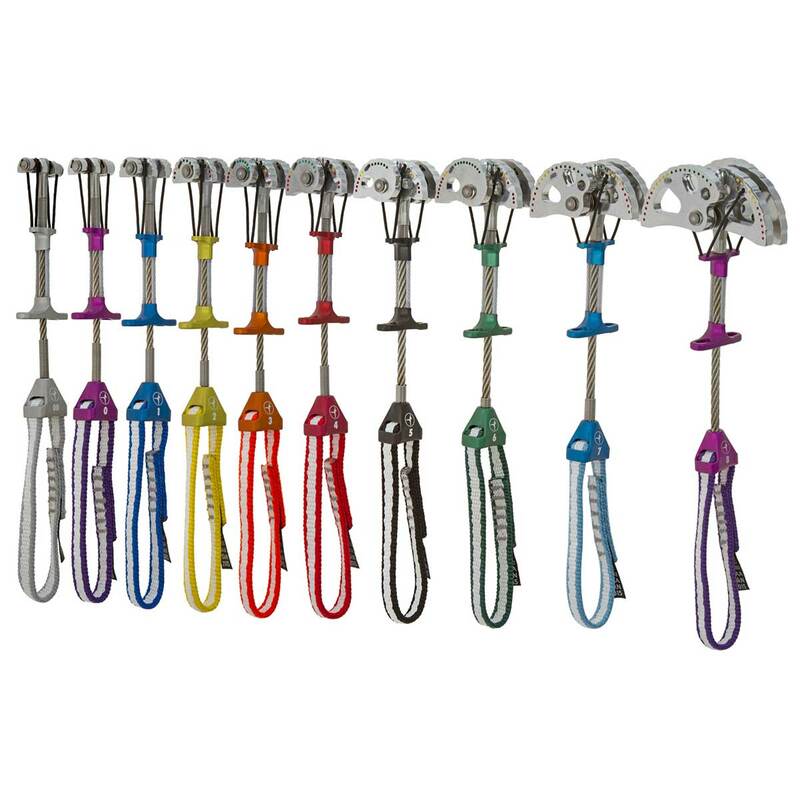 The Metolius Ultralight Master Cam is an ultralight single stem camming device that’s perfect for long trad routes and technical trad climbing. An updated version of the original Metolius Master Cam, the Ultralight Master Cam can now claim to be the lightest cam on the market, thanks to new holes in the trigger, a slightly shorter sling, and a redesigned thumb-piece that doesn’t require a cable loop. The Ultralight Master Cam also features updated lobes with a new grip pattern for a better bite in soft rock, as well as all the other features you’d expect from a Metolius Cam, like the classic range finder, super-flexible stem and on-point craftsmanship.